A good quality lip balm is basically a harder form of a salve, to heal and protect dry, chapped or sore lips. Salves are very handy to use for lips, but if you would rather have a more convenient, portable version than here you have a solution. Whatever is in a lip balm inevitably gets ingested so rest assured there are no potentially toxic additives, artificial sweeteners, colors or preservatives added, therefore very safe for use on children. There are no potentially toxic preservatives added. Lip balms usually aren't around long enough to worry about spoilage. Many flavored lip balms taste great but just may be adding to the problem by encouraging the tendency to lick. Habitually licking your lips only makes things worse. What happens with commercial fruity products is that this cycle results in repeated use of the lip balm, which means you'll soon need to run out and buy more. Big business isn't concerned with healing your tender mouth. This lip balm is ideal for the person who doesn't care for the addition of flavorings. The reason the first sign of dehydration is chapped lips is because the lips differ from the other skin on our bodies. This delicate skin area lack's oil glands, which means they retain less fluid and protection from drying out. The ideal moisturizer for the mouth is one that is made from ingredients that not only soften the skin, but protects against damage as it promotes healing. This lip balm utilized two amazing plants with very therapeutic properties for skin care, Violets and Plantain. 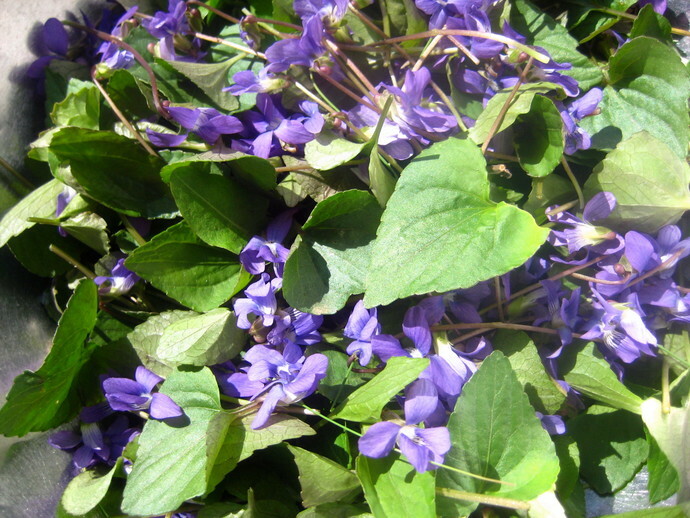 Violets (Viola odorata), those pretty little perennial spring wildflowers and leaves, have what is called demulcent. That means they contain a good amount of mucilage which cools the skin and reduces inflammation and redness. That is why the plant feels slippery and moist. 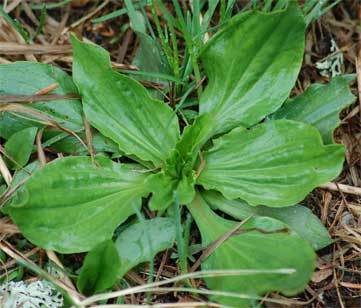 Plantain is such a commonly seen "weed" that most people have no idea how medicinally valuable it is. Plantain has a long history, even mentioned by Chaucer and Shakespeare. "Romeo: Your plantain-leaf is excellent for that. Romeo: For your broken (cut) shin"
Known as the “Mother of Herbs, Plantain (Plantago major) is one of the world’s most common herbs. Containing astringent and antimicrobial qualities, this plant is useful for skin conditions, bee stings, bruises, insect bites, and itchy skin. Both these plants are infused in organic, extra-virgin olive oil to draw out their beneficial properties, but olive oil in itself contains antioxidants that can help reduce skin damage. 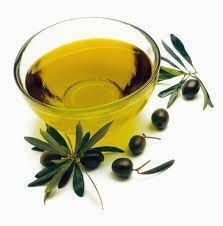 Though on its own, Castor oil is a bit messy to use, it is wonderful for skin care. Castor oil penetrates deep into the skin and helps keep it hydrated and smooth. It is also awesome because it adds a bit of shine. 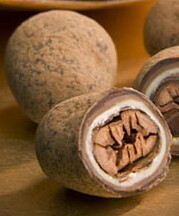 Cocoa butter comes from the cocoa bean and is considered one of the "ultimate moisturizers". As an emollient it acts as a protective barrier from the elements. By staying on the surface of the skin, it's water-repellent properties are perfect for lip care. Beeswax is used to thicken up the blend but is incredibly soothing and helps keep the skin from drying out. You won't find the balm waxy as is with some other options for thickeners. So if you have lips that need a bit extra help to heal and stay that way, give plantain and violets a try! Lip Balm comes in a lip balm tube and sealed for your protection.